Total handle on the finals of the 2018 FTBOA Florida Sire Stakes Series at Gulfstream Park was $9.852 million, an increase over last year of 23.40 percent. On the three Saturdays that Gulfstream hosted the Sire Stakes this summer, total handle was $27.241 million compared to $23.867 last year. 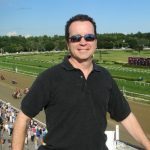 Lonny Powell, executive vice president and CEO of the Florida Thoroughbred Breeders’ and Owners’ Association, said: “We’re thrilled with how these Sire Stakes programs have evolved at Gulfstream Park. It’s gained in popularity, nominations are increasing every year, and field sizes this year have been fantastic as we’re averaging 12, 13 horses per 2-year-old race. Between the track and the Florida HBPA, it’s exceeded our expectations and we look forward to growing in the future.